Some time ago I did a review of a couple of body products from the Swiss brand Skin'minute. If you missed it, click here to read it. Today I have a review of 2 facial serums/sera: Metabolissme Serum Cell Flash and Indispensable Serum Perfect Metabolic. This product was awarded Product of the year in 2016. It's a two-phase serum that contains plant oils with antioxidant, anti-inflammatory and healing properties, emollients and 2 important vitamine derivatives: vitamin C and E.
Vitamin C boosts collagen production, has lightening and brightening functions and reduces fine lines and wrinkles. Vitamin E is a powerful antioxidant. On skin, it feels mainly oily, it's not sticky and is relatively quickly absorbed. It doesn't feel greasy. The scent is on the powdery side but it's not strong. Because it contains 2 phases, you have to shake the bottle before use. Note that the bottle opening is quite large and there is no seal so you have to be careful not to knock it over. You can either directly apply a few drops on your face or mix it with your emulsion or serum. Personally, I prefer mixing it with my emulsion. Water, Hydrogenated Polydecene (emollient), Hydrogenated Polyisobutene (emollient), Raphanus Sativus (Radish) Seed Oil (antioxidant), Glycerin (humectant), Ascorbyl Tetraisopalmitate (stable vitamin C derivative), Tocopheryl Acetate (vitamin E derivative), Propylene Glycol (humectant), Calophyllum Inophyllum Seed Oil (antioxidant, anti-inflammatory, antibacterial, healing agent), Sodium Salicylate (preservative), Parum (Fragrance), Ophiopogon Japonicus Root Extract, Sodium Chloride, Dioleyl Tocopheryl Methylsilanol, 3-o-ethyl Ascorbic Acid, Butylene Glycol, C12-15 Alkyl Benzoate, Phenoxyethanol, Methylsilanol Mannuronate, Methylisothiazolinone, Cynara Scolymus (Artichoke) Leaf Extract, Ethylhexylglycerin, Sodium Lactate, Carbomer, Sorbitan Laurate, Tristearin, Sorbic Acid, Polysorbate 20, Acetylated Glycol Stearate, Lactic Acid, CI 26100 (Red 1/), Palmitoyl Oligopeptide, Palmitoyl Tetrapeptide-7, Alpha-isomethyl Ionone, Citronellol, Coumarin, Hexyl Cinnamal, Hydroxyioshexyl 3-Cyclohexene Carboxaldehyde, Linanool. As advertized, the serum contains a blend of plant oils (radish seed oil, Calophyllum Inophyllum Seed Oil), and a Vitamin C and Vitamin E derivative. The two plant oils have antioxidant properties. Moreover, Calophyllum Inophyllum (tamanu) oil has anti-inflammatory and antibacterial properties. The oil could be used as a topical healing agent. If you're interested you can read more about this oil here. Vitamin E is a powerful antioxidant that protects the skin against environmental assaults. So yes, this serum does have anti-aging and brightening properties and is also perfectly suited to help keep skin moisturized. This is a thick gel that gives an immediate fresh feeling. The main interesting ingredient of the serum is niacinamide. Just as Vitamin C, niacinamide has a large body of scientific literature demonstrating its benefits for the skin. Nacinamide can improve skin’s elasticity, enhance its barrier function, stimulate microcirculation, help erase discolorations, and revive skin’s healthy tone and texture. It is also able to treat an uneven skin tone and to mitigate acne and the red marks it leaves behind (known as post-inflammatory hyperpigmentation). It's a thick opaque gel, not the watery type of gel. Here you can definitely feel the silicones in it, which make it a bit heavier than a watery gel. 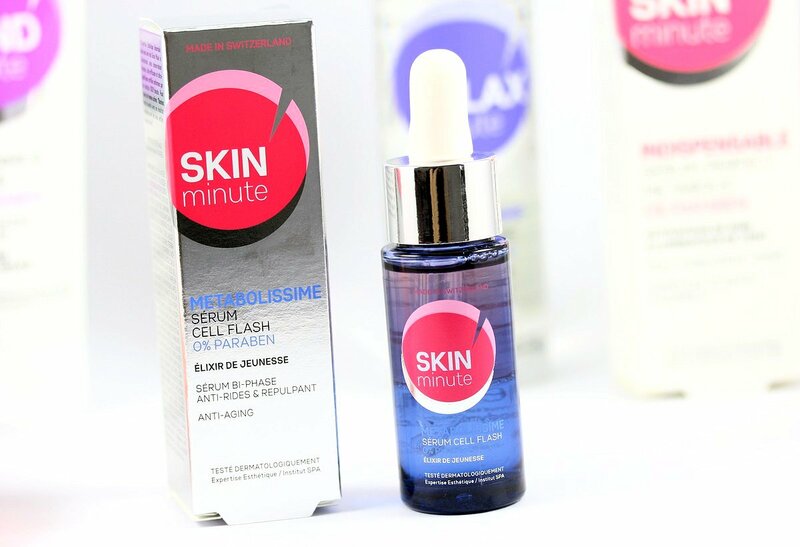 It is quickly absorbed and has about the same powdery scent as the Metabolissme Cell Flash serum. Water, Dimethicone (emollient, slip agent), Cyclopentasiloxane (emollient, slip agent), Niacinamide (improve skin’s elasticity, brightening and evening agent), Polysilicone-11 (film former), Squalane (repairing ingredient), Butylene Glycol (slip agent, solvent), Phenoxyethanol (preservative), Nylon-12, Silica, Ammonium Acryloyldimethyltaurate/VP Copolymer, Isohexadecane, Ethylhexylglycerin, Acrylamide/Sodium Acryloyldimethyltaurate Copolymer, Caffeine, PEG-10 Dimethicone, Salicylic Acid, Sodium Hyaluronate, Disodium EDTA, Ascorbyl Glucoside, Polysorbate 40, Polysorbate 80, Ammonium Polyacryloyldimethyltaurate , Glycerin, Oryza Sativa (Rice) Starch, Myrthus Communis Oil, Punica Granatum Bark Extract, Sorbitan Oleate, Juniperus Mexicana Wood Oil, Citrus Aurantium Amara (Bitter Orange) Leaf/Twig Oil, Santalum Album (Santal wood) Oil, Glycine Soja (Soybean) Oil, Hydrogenated Lecithin, Hydrolyzed Rice Protein, Oryza Sativa (Rice) Bran Oil, Limonene, Linalool, Oligopeptide-68, Sodium Oleate, Xanthan Gum, Geraniol, Potassium Sorbate, Sodium Benzoate, Solanum Lycopersicum (Tomato) Leaf Cell Culture Extract. So the main ingredients are water, silicones (emollient, slip agent) and niacinamide. As I said before the real interest of this serum is niacinamide, which is an awesome ingredient in skincare! I don't know its concentration but it seems enough to be effective. So overall, I'm really happy with both serums. 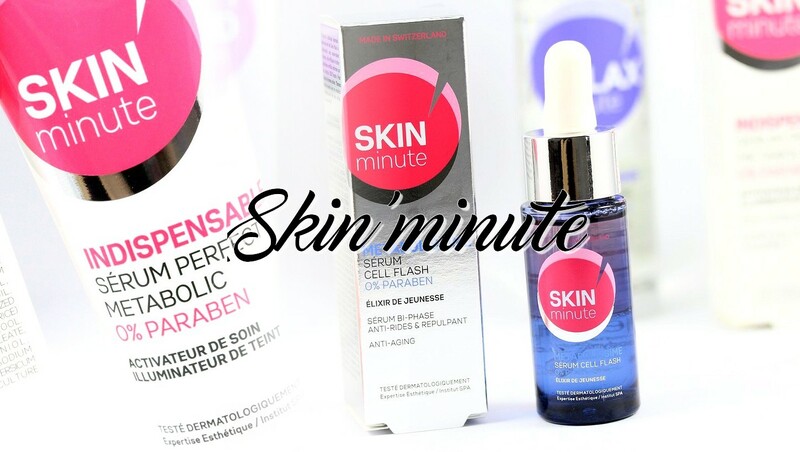 Moreover the quality/price ratio is also really good (Indispensable serum: 18.70€, Metabolissme serum: 24.60€ according to the price on the French wesbite, I don't have the price in Switzerland). The first one is a great moisturizer with Vitamin C (anti-aging, brightening) and E (powerful antioxidant). The second one contains a good amount of Niacinamide, which has a variety of positive effects on the skin. I've noticed that niacinamide helps a lot to reduce redness that I tend to have on my cheeks.